I just acquired several Crafters Companion 3D embossing folders (English Rose being used today, Ornate Lace and Regency Swirls). They are gorgeous. And I'm using a quote stamp and design element stamp from Quietfire Design. Oh, my gosh, another incredible embossing folder. I've wondered about the 3D folders. This looks amazing! Pretty flowers, too. OH WOW ... this is just gorgeous Yogi!! 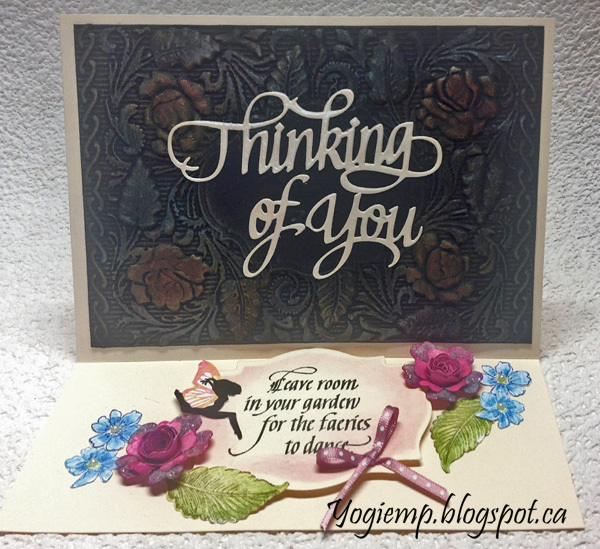 Thanks so much for playing in our ‘Die Cut Handmade Flowers’ challenge at Dies R Us! Please come back again soon! This is GORGEOUS! Your card looks like a tooled leather piece. Thanks so much for playing along with us at Little Red Wagon Challenge this week! Wonderful card. 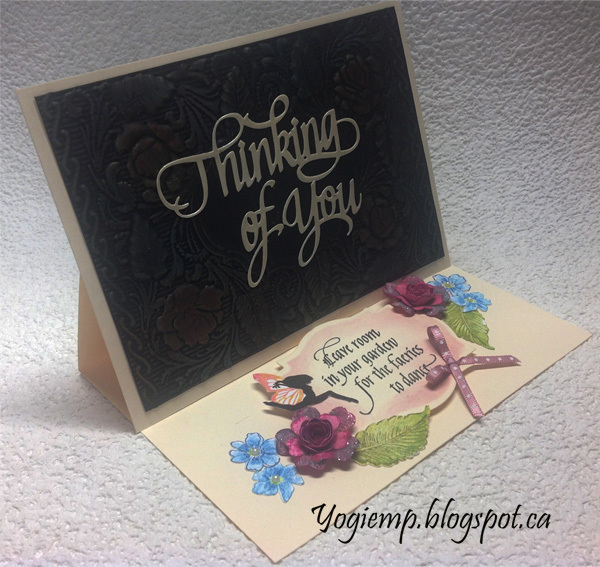 Thanks for playing along at Stampfun-creativity.